There’s solace in certain places, and a large part of that is the meeting of function and form. Some of that involves certain colors. I’m about to channel Tara Dillard right now! 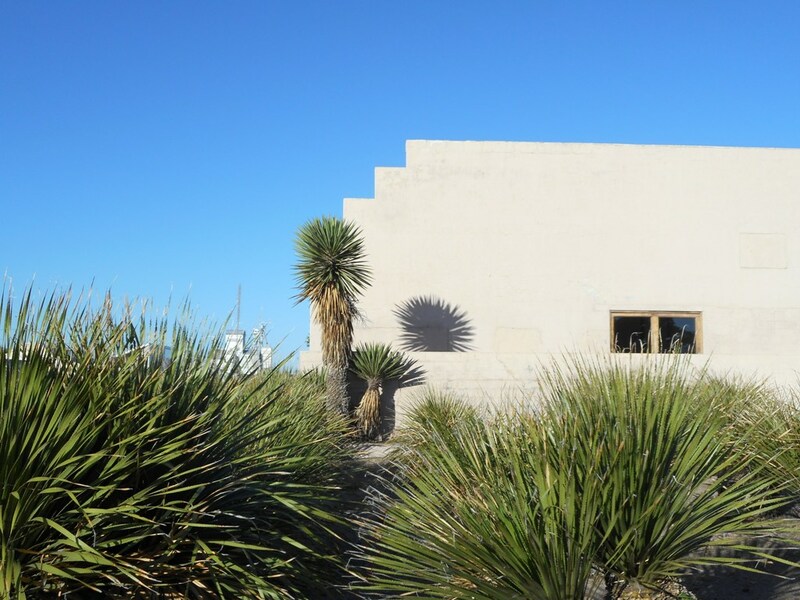 Many buildings in Marfa are white or off-white, skies are often blue, and there is a healthy embrace of native plants including green Desert Candle and Torrey Yucca. Either may be spiky to anyone and even unfriendly to the uninitiated, but they are green for little green in water or money. I think that white, blue, and green are Marfa’s color trinity. 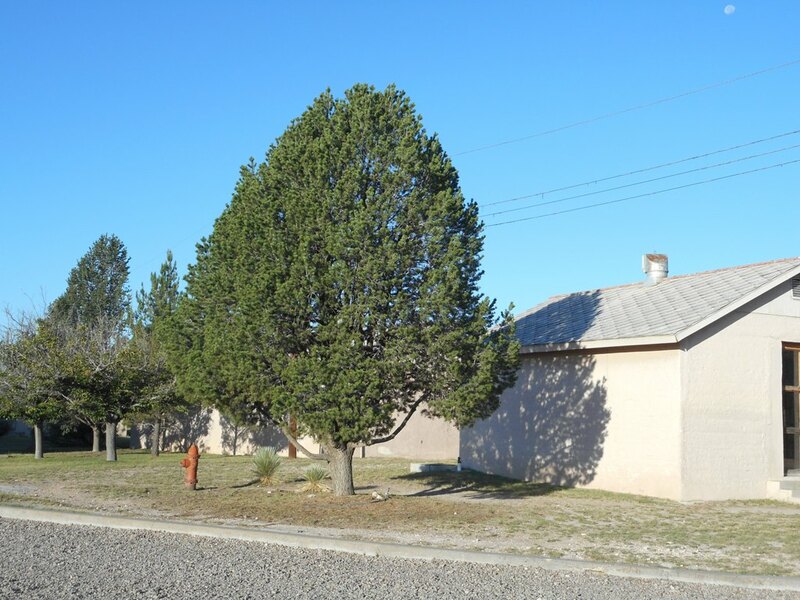 This Piñon tree is easy on the eyes with the building and sky. 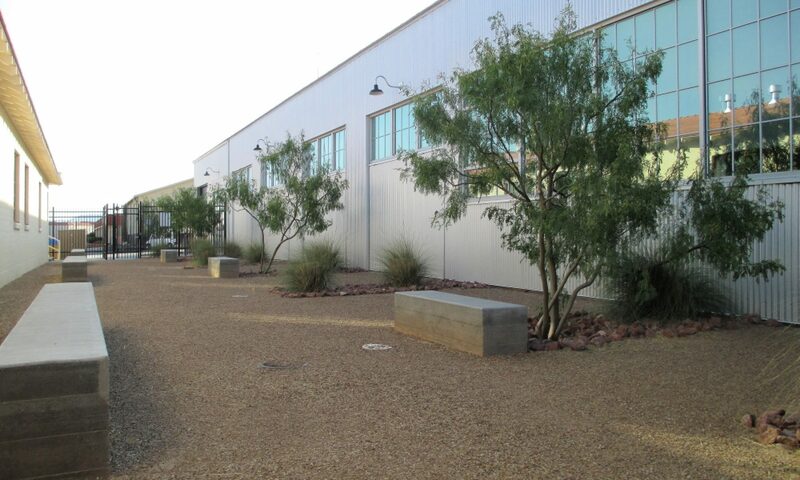 The off-white, utilitarian building is stunning by not just the art installation inside it. 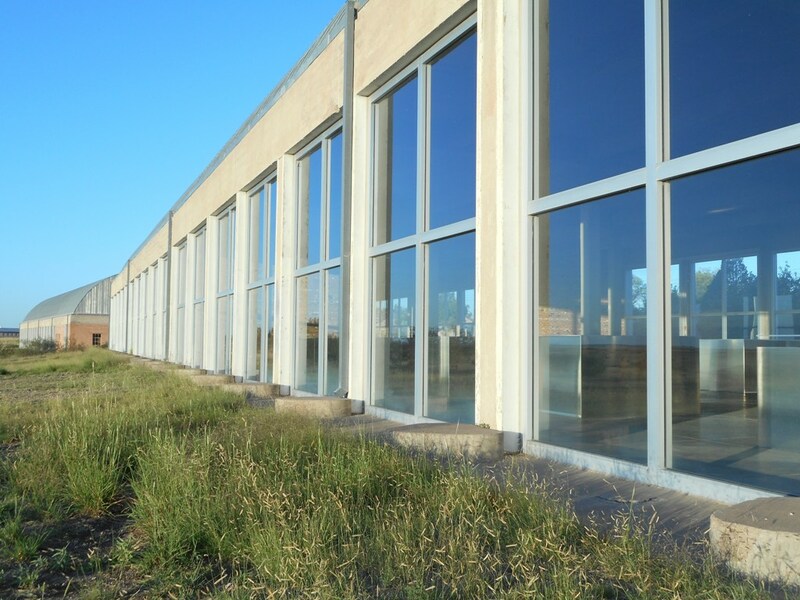 The blue sky and it’s reflection on the glass panes is part, and the green, post-monsoon season look of the wild Blue Grama grasses provides the finish. A designer I really respect insists that plants are icing on the cake. I beg to differ, and modify that some: flowers are icing on the cake. Make sure there is massing of foliage, show off the sky, and make a simple backdrop.